Anthony “Tony” McColl made a promise to his parents that he would never drink and drive. He kept that promise. On the night of April 16, 2011, Tony was the designated driver at a house party in the Pontiac. He was tasked with driving his sister Alanna home safely. Ironically the car was full by the time Alanna was ready to leave, so Tony gave her some money to pitch in for a waiting taxi. On his way home with the car full of party-goers, he was hit head on by an impaired driver being chased by police. Both Tony and the other driver were killed instantly, and the occupants of Tony’s car were seriously hurt. 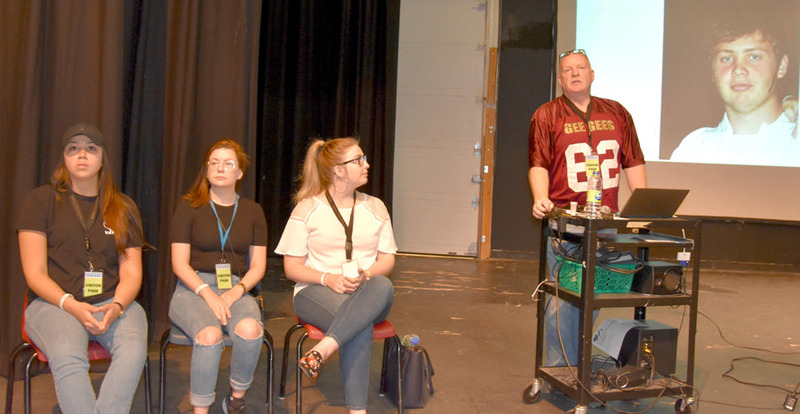 For six years, Tony’s dad, David McColl, has presented the message of the dangers of impaired driving in high schools in the Western Quebec School Board. His message is one of grief, loss and how planning ahead can ensure others don’t have to live the pain of losing a loved one. The presentation was developed by D’Arcy students who were at the party that night. It engages the audience with graphic descriptions of the crash and of the funeral. Two of the young women who were in the car that night, along with Tony’s sister Alanna, accompany McColl and answer questions related to their injuries and life after the tragedy. Students always listen intently as McColl shares his story openly in the hope that just one life may be saved. “It still surprises me that there is a need to talk to people about the dangers of impaired driving. I try to be open with these young men and women about how I’m dealing with the death of my son and I’ll keep doing it as long as the school board allows me to,” McColl told the Bulletin.